As you may know, I often write about what I experience on a day-to-day basis. Last night, I got an unsolicited e-mail from a physician whom I respect about IMAC. This is the chiro stem cell clinic group that is trying to raise money in the public stock markets to expand nationwide. There was an investor presentation attached, so let’s dive into that document this morning. I will review it from the standpoint of a potential investor. IMAC is a chiropractic clinic chain that has added stem cell therapy, like many across the U.S. The acronym IMAC stands for “Integrated Medical and Chiropractic.” The group has hopes to expand out of the Midwest and open many more clinics nationally. According to their investment documents, they also hope to establish their own brand of umbilical cord blood as well as, at some point, try to approach employers to get insurance coverage for their services. My first attempt to find out more about this group was late last year. That was prompted by a strange interaction with their chief scientific officer on LinkedIn as well as getting sent their written investment documents. What did I find back then? In my opinion, IMAC was like many other chiropractic “stem cell” clinic chains. They overused midlevel providers, and while they had medical doctors employed at some clinics, these physicians were not experts in the field of regenerative orthopedics. In addition, their investment prospectus exaggerated a few things. They also had no clinical data collected or published. After performing a deep dive on the clinic, I had to conclude that if I had a patient in the area, I would not refer that patient to this clinic chain. Now, strangely enough, a doctor who has a clinical practice close to IMAC and to whom I would refer patients has reached out with an unsolicited e-mail about IMAC. Since my blog, I have gotten several unsolicited e-mails about IMAC. The one I received yesterday was interesting as it was from a local provider who is experienced in regenerative orthopedic care and whom I respect as a colleague. Meaning, despite this physician not being part of the Regenexx network, if my brother or sister lived close to this doctor, I would refer them to this clinic for care. Given that I had already concluded that I would not refer patients to IMAC, this sets up an interesting juxtaposition. Why? Because this provider is local to some IMAC clinics and, as such, would know more about the day-to-day workings of the clinic chain. Would a Regenerative Medicine Expert Invest? I know quite a bit about regenerative medicine and orthopedics. I was the first physician on earth to perform a bevy of orthopedic injection procedures using stem cells. I’ve published more than 25 peer-reviewed research papers on the topic. I’ve authored many book chapters, educated many fellows, and am the chief medical officer of the world’s largest physician network focused on regenerative orthopedic care. I have treated many thousands of orthopedic patients with PRP and stem cells and hold many patents on the topic. So if I take a long hard look at an investment in regenerative orthopedic care, I’m looking at this from the standpoint of significant experience. They sell pricey packages of care that include chiropractic and PRP/stem cell injections and promise unrealistically high success rates. Their physicians generally don’t have much expertise or training in regenerative medicine (compared to this expert). This physician sees many patients from IMAC clinics after their care has failed there and who should have never been offered a regenerative medicine injection procedure. The interesting thing about this local doctor’s comments is that they are pretty much exactly what I would say about the local chiro owned and operated “stem cell” clinics in my area. Hence, they confirm my initial thoughts about IMAC. Having said that, I don’t know if someone else would give me a different opinion. Hence, let’s delve into the investment pitch slide deck I was sent, but let’s do so with an expert’s eyes. I’m not a financial expert. I also don’t do much of this type of investing, so I can’t tell you if the IMAC investment is good, bad, or indifferent from a financial standpoint. However, I can tell you whether the core concept, which is based on regenerative medicine, is solid or not from the perspective of a medical expert. Note what you don’t see in that video. You don’t see knee X-rays. Why? They are a notoriously problematic way to measure knee cartilage growth. Why? The results are very dependent on small changes in the X-ray beam. So while they have been used for knee arthritis research studies, they must be done very, very carefully to produce any meaningful data. Let me explain. What are we looking at? This is the X-ray of an elderly woman who was told she needs a knee replacement. We don’t know what type of care she received, but given that IMAC is selling shares in a regenerative injection therapy investment, we can likely assume that this is what she had done. The slides claim that this X-ray shows that the woman regained cartilage in her knee. However, as I’ll show you, the slide doesn’t show that at all. Our eyes are first drawn to the red circle, as it seems to show that there is an increased width in the joint space. The idea here is that if the X-ray shows more width in the joint, then cartilage (which we can’t see on X-rays) would have grown into that space. The problem? An expert can look at this X-ray and see that it’s more sleight of hand than an actual positive result. Let me explain. As you can see, I have outlined the kneecap in blue dashed lines and placed yellow dashed lines to indicate the up/down position on the film. You can now see that the kneecap position is very different in these two films. This is all an expert would need to see to know that these films can’t be used to support the idea that cartilage regeneration occurred. Why? To understand that, let’s run through a short tutorial on how knee X-rays work. The top film shows what seems to be a joint width decrease, or arthritis. The bottom film was taken seconds later, once I adjusted the beam. In that image, I seem to have regrown loads of new knee cartilage in seconds! Magic? Nope, just physics. While there is much more to write about this investment slide deck, including the structure of the clinics and the “Neocyte” product that the company will be selling, it takes hours to deep dive into just a few topics. As you can see, just a simple thing like an X-ray and a claim of cartilage regrowth takes a while to explain. Hence, I will have to dive deeper on those issues on another day. The upshot? My medical deep dive into the IMAC chiropractic stem cell clinic slide deck was not supportive of me spending my money on this investment. My local doctor “test” resulted in confirming my initial thoughts about the clinic chain. 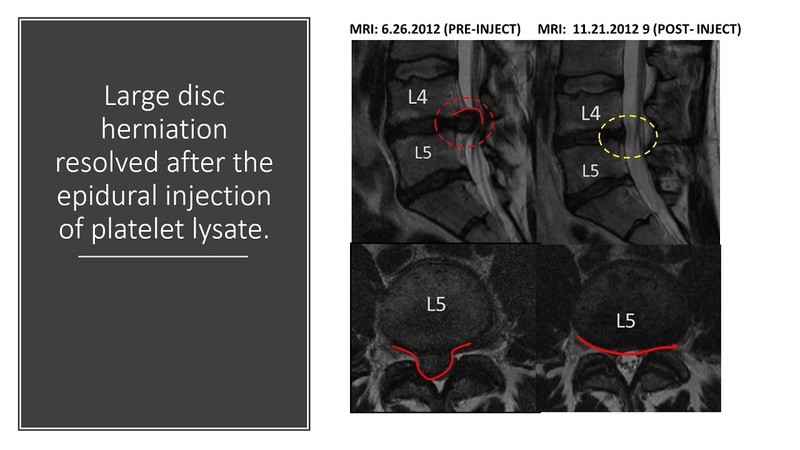 In addition, seeing the knee X-ray stem cell hustle in the slide deck was hugely disappointing. Having said that, I’m not an investment expert. So I’ll leave you with that famous quote from Dr. McCoy (Bones) on Star Trek: “Dammit, Jim, I’m a doctor, not a financial planner!” Hence, make up your own mind about this particular investment.